Just what is a law list? It is a publication maintained primarily for the purpose of presenting the names of lawyers as available for professional employment. Usually it is not a general directory, but shows the names of one or more select lawyers or law firms for each town in the area covered by the publication. And just what is The American Lawyers Quarterly? This established law list was founded in 1899 and has been published without interruption since. Referrals are made for all cities, county seats and sizable towns in the United States, as well as most commercial centers throughout the world. The American Lawyers Quarterly is published in strict conformity with the rules previously set down by the American Bar Association and carried a Certificate of Compliance issued by its Standing Committee on Law Lists, as long as such certificates were issued. The American Lawyers Quarterly is a list of attorneys located in various cities throughout the United States and foreign countries who are interested in handling collection and bankruptcy matters. What about the quality of the information contained in The American Lawyers Quarterly? We continuously keep in touch with our listees to assure accurate and up-to-date information. The entire publication is printed each year with regular Supplements which keep our users fully informed of all developments. We also welcome inquiries and suggestions from our users, to assure that only the highest quality service is maintained. To whom is The American Lawyers Quarterly available? The A.L.Q. is available to collection agencies, lawyers, credit insurance companies, credit men’s associations, debt buyers, insolvency accountants and secured lenders. The A.L.Q. is used principally by those who have need of out-of-town counsel in the collection and bankruptcy fields. The A.L.Q. is not sold publicly, but rather it is distributed free of charge to those who will use it for the purpose for which it is intended. What kind of legal matters are sent to lawyers listed in The American Lawyers Quarterly? Commercial and consumer matters growing out of transactions of manufacturers, insurance companies, service companies, banks, and wholesalers are the most numerous, together with occasional legal employment of other sorts, such as corporation, real estate, probate, divorce and personal injury. In addition, many of our listees are interested in handling bankruptcy work, and A.L.Q. markets sources of this business also. Does a lawyer listed in The American Lawyers Quarterly have to agree to handle matters for certain uniform fees? No. Law list publishers do not set the lawyer’s fee, which is a matter of contract between the lawyer and his client. 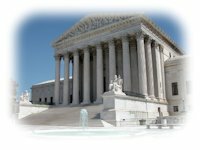 By opinion of the Supreme Court of the United States’ “Goldfarb Decision”, Bar rates and uniform rate schedules are illegal. Generally, however, collection matters are handled on a contingent basis. How do I use The American Lawyers Quarterly? You can use this website to send them a case; or when you refer a matter to an ALQ listee, A.L.Q. respectfully requests that you submit a forwarding notice or bonding coupon, covering each such matter, or if you prefer, you may send us an open copy of your forwarding letter to our office within 30 days of the date of employment. Furthermore, we ask that you notify our listee that their name was selected from the A.L.Q. by mentioning the A.L.Q. as the medium of introduction. By following these simple instructions, you activate our $3,500,000 bond and protect the interests of your client and yourself. What other services does The American Lawyers Quarterly provide? An excellent Service Department is maintained at our Cleveland office. In the event that any question or problem arises in connection with a matter placed with our listees, you can report the facts to us and we will promptly intercede on your behalf. Any opportunity to serve you will always be welcome. Inquiries from both forwarders and receivers are welcome at any time, as it is our desire to be sure that the working relationships are maintained in the most convenient and efficient manner. Occasionally, counsel is needed in an area not covered by one of our listees, or where our listed counsel has a conflict of interest. In that instance, we are happy to assist users in locating other representation. By completing the three simple steps in forwarding, The American Lawyers Company will provide a total of $3,500,000 in bonding insurance coverage through our bonding insurance company, Chubb Insurance Group. We bond our listees against acts of larceny, embezzlement, fraudulent failure to make accounting or overcharge. What are the three procedures in completing the terms of the bond? 3) Notify the lawyer that his name was taken from The American Lawyers Quarterly. If I am not interested in the bonding protection that The American Lawyers Company provides, why should I submit a forwarding notice? We furnish The American Lawyers Quarterly and our services free of charge. It follows that if we see evidence of the use of our List, which is accomplished by your submitting forwarding notification on each employment, we will readily continue furnishing you with our publication. The forwarding notification process is our only means of knowing whether or not the List is serving its purpose, and it also serves as our record of usage.